Mumbai, March 28 (IANS) Nationalist Congress Party (NCP) chief Sharad Pawar is in good health and there is no need for concern, a party leader said Thursday and asked his colleagues to guard against rumours. In a statement, the party's Maharashtra unit president madhukar Pichad said Pawar, also union agriculture minister, is in fine health. "Since the past few days, there have been rumours and misleading information about his health, creating concerns among the party activists. I appeal to all to guard against such baseless rumours," Pichad said. 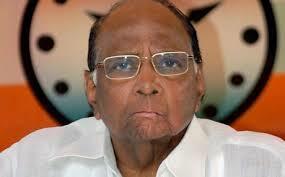 He added that last week, Pawar, 72, suffered exhaustion following low blood sugar while attending a function in Kolhapur. Later, the union agriculture minister was rushed to his Modi Baug residence in Pune where he took rest for a day and recovered. Pawar was on a scheduled tour of some southern regions, including Bangalore, Ooty and Mysore, party spokesperson Nawab Malik said.